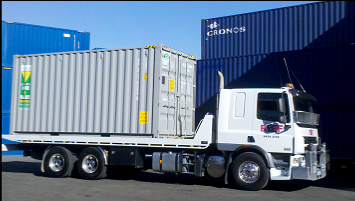 By far the most common method of transporting containers interstate or any long distance around Australia is by rail. At each end of the move, we will need to transport the container by road. The type of truck used to move your container will be determined by site access, the likely weight of the container and your preferences. 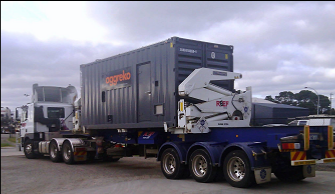 How will your self pack moving container be transported? ✓ 20ft Tilt tray - up to 9t (ideal for residential) - the least expensive option. Unload from the rear. ✓ 40ft Side-loader - mainly used for heavy containers for commercial customers. ✓ 20ft Side-loader - up to 10t - also good for residential. Cost a little more than a tilt tray. Unloads from the side. You can see how the different types of trucks operate on our videos page here.